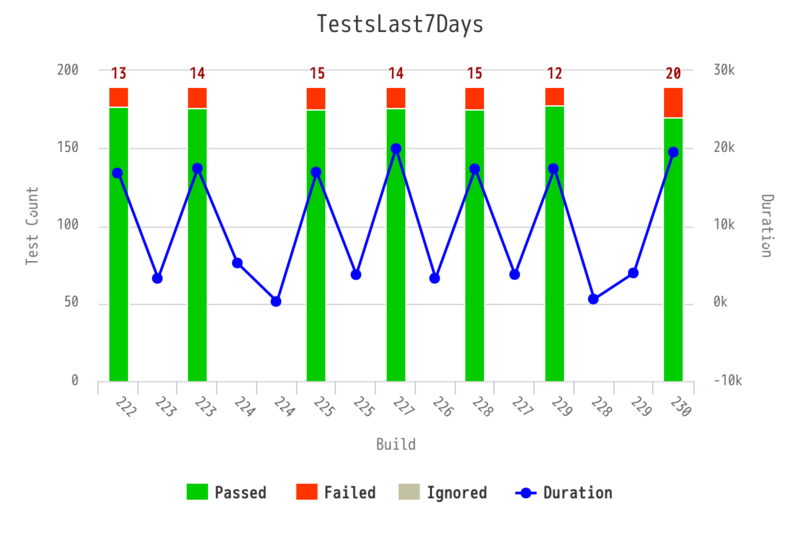 Shows the count of tests over a period of time including the average build duration. This report is powered by data from the EventQ's event data store. Click REPORTS from the Project Home menu. Click Create in the List Reports page. The Select Report Type page appears. Select Test Activity from Activity Reports. Type a report title and description. Select one or more projects from the PROJECT(S) drop-down list. Select the number of days from the LAST N DAYS drop-down list. The default Display Type is EventsDual. 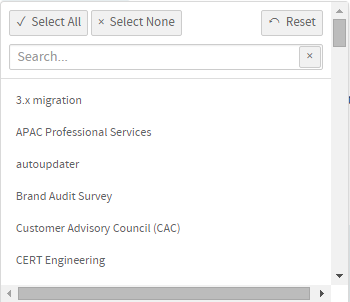 Select report visibility: Public or Private. Click Create. The report is created and the View Report page appears. You can print charts or download them as .PNG, .JPG, .SVG or .PDF files using the print/download quick function icon. Click Back to Reports List to go back to the Reports dashboard.